For a detailed look at the Smart Podcast Player Email Integration feature, go here. 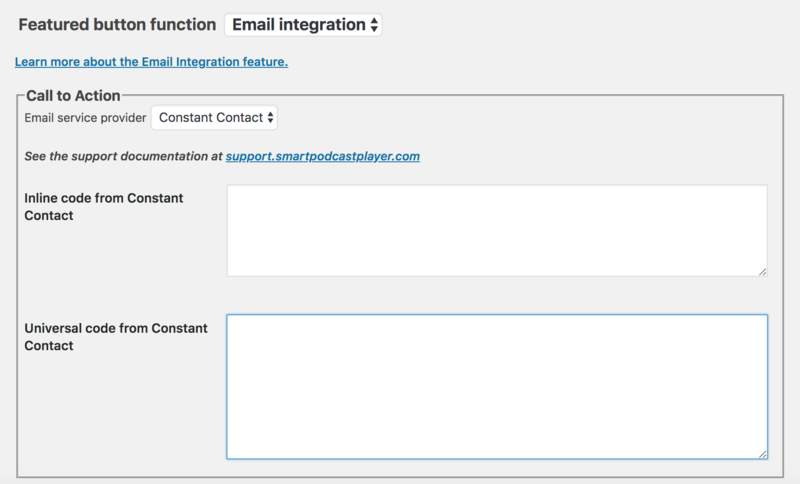 This support article will walk you through how to enable email integration with Constant Contact only (for MailChimp, ConvertKit, etc. users, find instructions here). Important: Constant Contact only allows you to embed their forms one time per page. 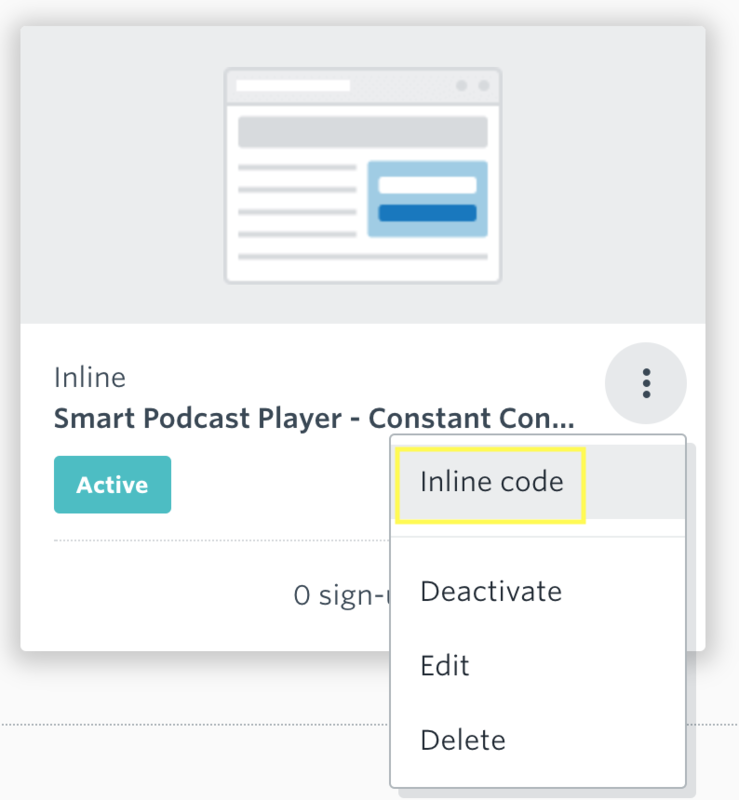 If you already have a Constant Contact form on the page where you will put your player, you should create a separate sign up form specifically to use in the Smart Podcast Player. If you don't, your users will receive an error message when they click the button to launch the form. 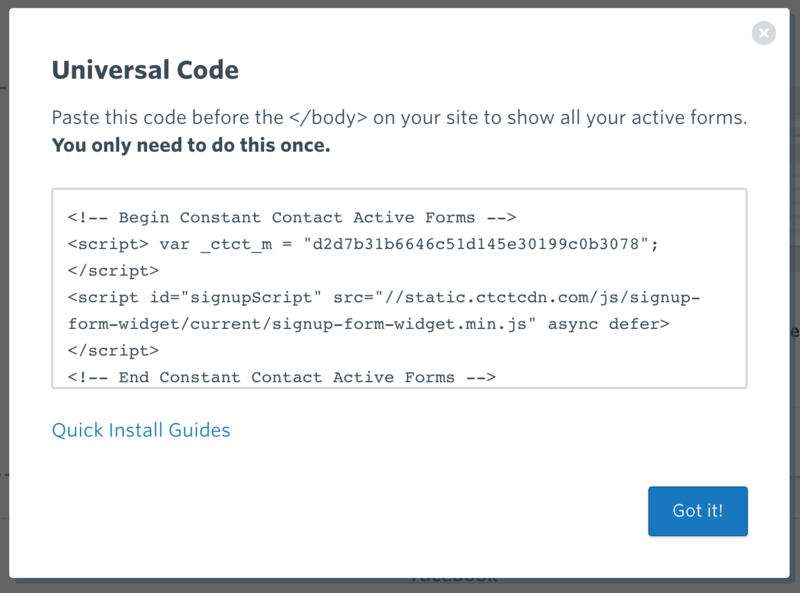 Sign into your WordPress console. Select Enable Feature from the drop-down box. When you do, you will see this. (Make sure to change the Featured button function to Email integration. In the field Button text, enter the copy you would like to appear on your button. Use a short call to action. In the Call to Action box, first pick Constant Contact from the drop-down menu. 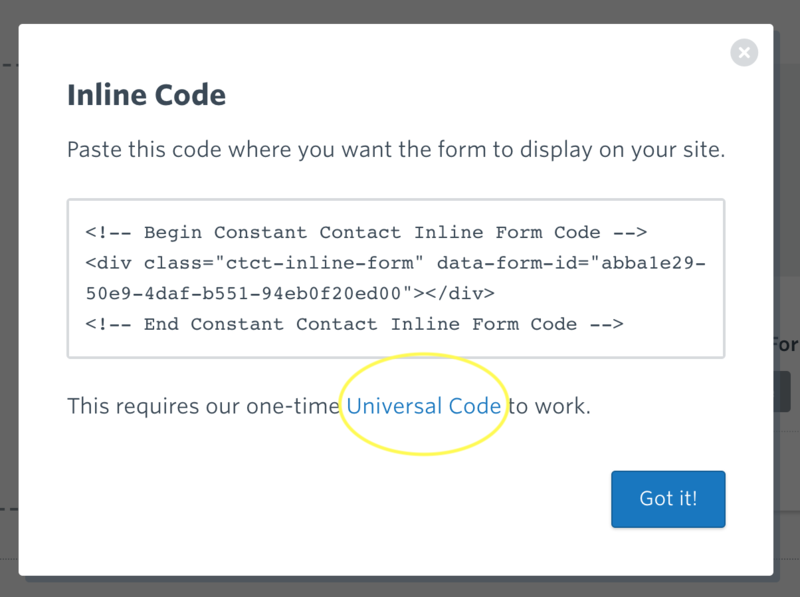 At this point, you want to grab both the Inline code and the Universal code from your Constant Contact form settings (*you will need both of these code snippets). Once you create your sign-up form, go to the Sign-Up Forms tab in Constant Contact. That will look like this. In Constant Contact on the Sign-Up Forms tab, click the little vertical ellipses to access your Inline code. That will look like this. Copy and paste the inline code into the Inline code from Constant Contact box in your Email Integration settings. Once you do that, click on the Universal Code link in the pop-up. Copy and paste that code into your Universal code from Constant Contact box and hit Save.